Murray Newlands and John Rampton have just released what could be the best book ever on “Performance Marketing” – what most of my readers would probably think of as “Affiliate Marketing”. The explanations of what affiliate marketing is, how affiliate networks work, and how changed the options are for promoting sales for merchants, advertisers, and manufacturers are the most clear and comprehensive I have ever seen. You need to get this book. It is only 99 cents for the Kindle version and $4.99 for the paperback. TODAY Sep 25 and tomorrow Sep 26, 2013 the Kindle version is free, so why not grab a copy even RIGHT NOW even if you don’t have time to read it now? Chapter One is an overview of what affiliate marketing is – but if you think you already know you should read it because there are many new methods. Chapter Two covers the all important sales funnel – a concept that many affiliate marketers fail to understand. This is a major reason most affiliates are not making good money. more than one point in the sales funnel? Chapter Five: Link management = critical for your success. You need to use 3rd party tools so you can easily change links if one merchants drops their program. affiliate link into content that already ranks! As you can see, it covers just about everything you might want to know. It is worth vastly more to have this all in one place than they’re charging for it. Even if you aren’t actively doing performance marketing now, reading it will expand your understanding of how marketing online works. Free today – only 99 cents later – so what are you waiting for? You can afford 99 cents, can’t you? Congrats on the book release. I quickly went through it and it’s a great amount of information for a great low price. I’m sure a ton of people will find great value and have it be their official introduction into the world of online marketing. this book is fantastic! i would recommend it ! after a long time i have seen such a nice book , which is really easy to understand and helped me a lot to understand about affiliate marketing prospects. I read this book. 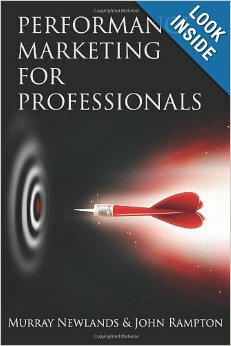 One of the great book of Affiliate Marketing. It includes the many points and describe it easily. It’s easy to understand. This is really awesome comprehensive internet marketing book. it definitely helps to increase the sales. i would like to replicate some internet marketing tips from this book. Thanks for sharing. A good read on “Affiliate Marketing”, provides a comprehensive coverage on the concepts, network and options available for promoting sales. Absolutely, value for money considering its cost. Congrates on the book release. I quickly went through it and it’s a great amount of information for a great low price. I’m sure a ton of people will find great value and have it be their official introduction into the world of online marketing.